Amazing work! I Cant wait until I use it as hardware keyboard sniffer And is it really necessary to measure both D+/D- wires? The are forming a differential pair and most of the time they hold the same logic level on both lines. 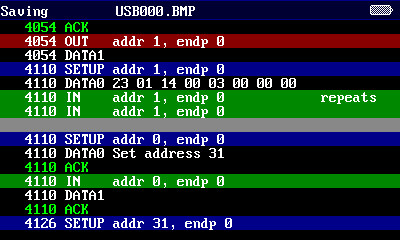 End of packet is signalled in USB by pulling both D+ and D- to ground. I'm not sure if it is possible to detect it otherwise. Other than that, a single signal would be enough. Very nice addition. Thank you. I established the PAWN_006 version. USB Analyzer works normally, but with this version Frequency Response doesn't work (FREQ001, doesn't work at other modes absolutely). Frequency Response perfectly works with PAWN_002 (FREQ000), but USB Analyzer and many other things doesn't work. alvadep wrote: I established the PAWN_006 version. 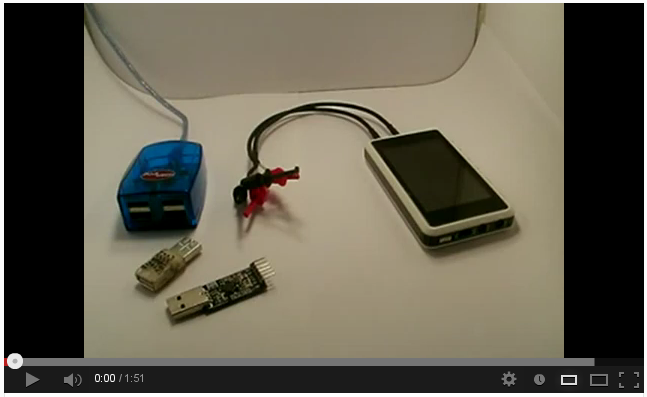 USB Analyzer works normally, but with this version Frequency Response doesn't work. Ok, I can see that there is a problem. For me it just stops midway through the measurement. I'll debug that problem. Can you tell what are the exact settings you use for testing? 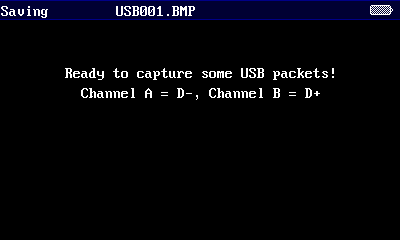 The results you get look a lot like the input probe (channel A) was just disconnected. PAWN_002 with these parameters works. PAWN_006 with these parameters hangs (even scanning doesn't begin). On PAWN_006 it was possible though any result to receive for save only at maxfreq - 20k. Change only PAWN. All the rest without changes. The bug was caused by the new GCC version (4.7.3 vs. old 4.6.1) optimizing things differently. This caused a few bugs in the time-critical wavein loop to come visible. jpa, you do such lot of work, huge to you thanks. Freqresp earned with the new PAWN version. Wasn't started only scanning with minfreq - 10Hz, maxfreq - 20MHz . But with the new freqresp version everything fell into place, everything earned of full. And here new LOGICAPP versions don't work for me. I have works only the version of March, 2012, in size 66,3 kb. I have very old HW (v 2.6). Excuse me for my English and off topic.